We began working at Attree Real Estate in January 2013 after having had our own business for 17 years. Our business time has held us in good stead as we now have over 20 years sales experience and that is of great benefit to all of our clients. Contract negotiation is definitely our strong point and we love working with people to achieve their goals. We have a huge passion in all things houses! Over the years we have rented homes, bought and sold our own homes and built as well. This has given us a great insight into all aspects of the real estate market and going through these things personally gives us great empathy to our clients as to what they may be going through. We enjoy our job immensely and are constantly striving to provide the best possible experience for all our clients so that they will consider us as their preferred Real Estate Representatives. We pride ourselves on giving back to our local community and we are proud sponsors of the sporting clubs that we belong to with our 3 children; Canning Vale Cougars Football Club, Thornlie Hawks Softball Club and the Zodiacs Netball Club. Paul, Janet and I wish to thank you and Danuta for the time and effort you put into getting our property sold.It turned out to be a long haul, you persisted and finally got the offer. We did not obtain the price we wanted but we were aware of market trends and pricing in the area. We appreciated your work ethic and input and we will recommend any friends and acquaintances looking to buy or sell real estate. Selling our house in a tough market was daunting, but Paul and Danuta Williams were patient, compassionate, professional, as well as open, honest and friendly. They worked hard and were consistent and got us a very good deal for our property. I would have no hesitation in listing with them again. Thank you, Paul and Danuta. We used Paul and Danuta Williams to sell our house and buy our new house, I could not recommend them enough. They provided excellent service, answered all questions and queries, were very professional throughout the process. We got to experience their expertise both buying and selling, have already recommended them to family and friends. They also support and sponsor our local netball club in our community which is fantastic!! I sold my house through Paul and Danuta from Atree Real Estate and was extremely happy with their professional and helpful service. They worked really hard to sell my property in a time when the real estate market was down and they did everything in their power to make the sale process as smooth as possible; even helping me to dig up and repot two apple trees, which had a real sentimental value to me. 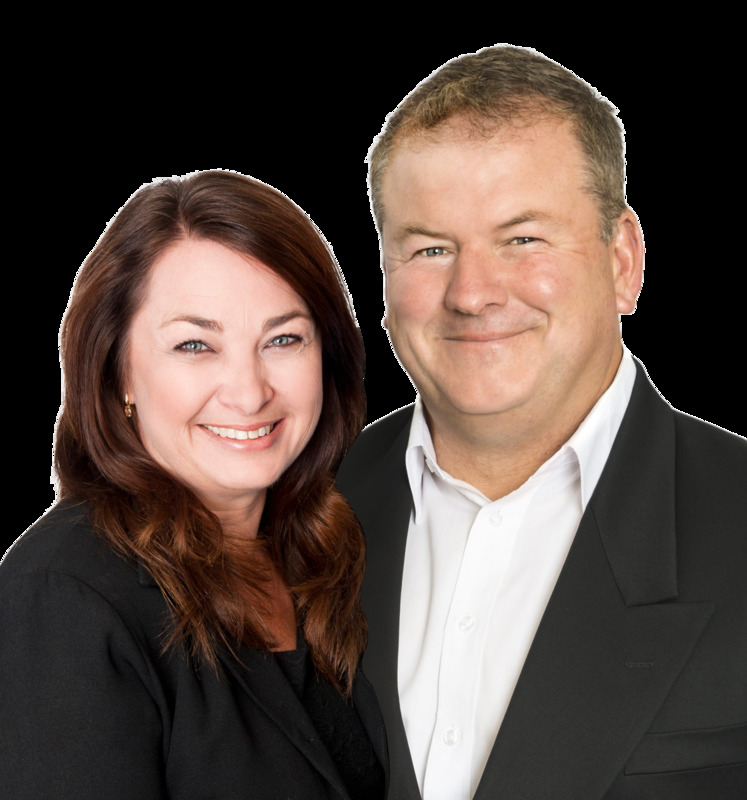 I would not hesitate to recommend Paul and Danuta to anyone wishing to sell their property. I would like to place on record how professional Paul and Danuta are when it comes to selling and buying houses. They sold my home in Canning Vale and found me my next home to buy which suited me to a tee. One night whilst still in my Canning Vale home, I locked myself out and who came to the rescue - Danuta, she went into her office, got the key and came around and let me in! All done with a great smile and laugh! They work extremely well as a team and if I need to ever sell again, they will be the first people I call. We recently bought a house through Attree real estate in Harrisdale and have been looked after by Paul and Danuta Williams. Paul has been very pleasant and efficient to deal with. There were a few unforeseen issues with the house when we first moved in and Paul promptly answered our emails and arranged for the relevant tradespeople to come and do what was needed to resolve the issues. Paul and Danuta Williams communication has always been very clear, professional and personable, which we really appreciate. I would like to express my sincere thanks to Paul and Danuta for their constant and tireless effort in selling my house in Canning Vale. Their experience, knowledge and professionalism makes them both a pleasure to work with and I am very glad I chose them as my agents. After a traumatic experience selling my own house last year with another real estate company, I was very wary and certainly not looking forward to this again, when I needed to sell another house my parents were living in. But I didn't need to worry this time. Paul and Danuta were in constant contact with me, as I now live in Bunbury and I feel we have become good friends. Throughout the selling process, which in this market is not only more difficult but also a longer time frame, Paul and Danuta worked every weekend and gave me continuous service to achieve the sale, with their positive attitude offering me confidence all the time. Unfortunately, we didn't achieve the price we were initially looking for however, Paul and Danuta did not hassle me at any time during the sale to make adjustments to the asking price, I made these decisions with their assistance. In my previous experience I was constantly bullied to do this which made me, not only angry towards the sale but also the agent, which led us to have a very difficult relationship. I am very impressed with Attree Real Estate and would have no hesitation in recommending your business and I thank you again for all your help. We would sincerely like to thank Paul and Danuta Williams for the personalised service displayed in helping us to buy the perfect home for our lifestyle in Canning Vale recently. Having bought and sold many times over the years we found Paul and Danuta to be professional, ethical, hard working and able to deliver the most refreshingly honest and down to earth service that we have ever experienced. We believe that their commitment and dedication to us as clients was unsurpassed. Their focus on end result was beyond question and the motivating advice and detailed reporting during the process was appreciated more than they realize. From the onset we had confidence we were in the right hands and have no hesitation in recommending yourselves to others who value professionalism, honesty and integrity. A heartfelt thank you to Paul and Danuta. Showing 1-21 0f 21 total results.